At IDSecurityOnline, our ID professionals are highly experienced and deeply knowledgeable about every brand of ID card printer available. It�s our No. 1 job to make sure you get the perfect printer that meets your current and future business and security needs. In this post, we�d like to cover an ID card printer that delivers sharper, crisper images and text thanks to High Definition Printing (HDP). HDP delivers the highest image quality with an HDP film that�s fused to the surface of ID cards, resulting in more vibrant images and text. 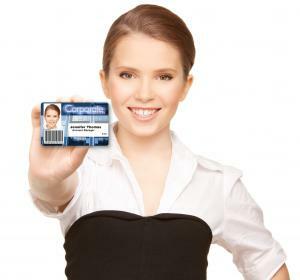 Whether you�re the subject of the photo or the person behind the camera, there�s an art and science to taking the best photo ID pictures for use on security badges, driver�s licenses, passports, and other forms of photo ID. And whether you�re the subject or the photo taker, you want to present the best possible photo. Especially for company IDs that employees are required to wear, you want your company represented professionally, and that starts with a professional head shot for your photo ID badges. You may think taking the following shortcuts will save you time and even money, but you�d be surprised what it might add up costing you in the end. If you have hundreds of ID cards to print that need to be attached to a lanyard, you understand the draw of pre-punched slot cards. Who has the time to hand-punch hundreds of cards? 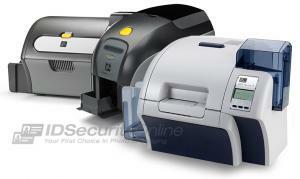 But this one little short cut can cause serious damage if you have a direct-to-card printer. If you�re like many businesses today, you rely on your ID cards for access control, authentication, and identification purposes. Any down-time in your current ID card printing system is a loss of productivity that has ramifications far beyond inconvenience. 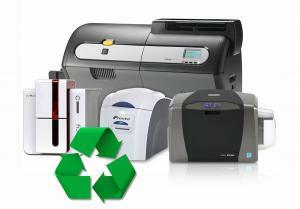 A common response is to wonder if it�s time to trade in your old ID card printer. Many of our customers ask us this important question for a variety of reasons. Proximity cards give you an easy and affordable way to get secure access control for employees, students, contractors, or vendors. They�re read-only devices with an embedded antenna that allow card reader devices to pick up the data from a range between 2.5 inches to 20 inches, depending on the reader you choose. 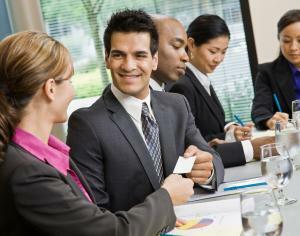 IDSecurityOnline offers you plenty of choices in proximity cards, which might make it difficult to decide. We�ll walk you through your options here to help you narrow it down to the best solution for your needs. Are You Ready to Switch to Contactless Cards? If you are using magnetic stripe data in your ID security card system, there may be many advantages to switching to contactless cards, safety being the primary benefit. Especially for campuses, moving to a contactless card can give you the option of storing volumes of information and making global updates and changes to that information from a central location. In addition to ID cards, contactless technology can be used in keychain fobs, watches, and cell phones. 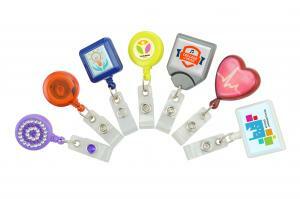 How Do I Pick the Right Badge Reel? Retractable badge reels have become one of the most popular ways to both display ID security cards and still be able to swipe, scan, or read information on the card without having to remove the card from someone. Their small size makes them convenient to clip on your belt, a pocket, or some other piece of clothing for easy access. The retractable cord slides simply and easily in and out of the badge reel when you need to use your ID security card for access, to pay for something, or to show your credentials. 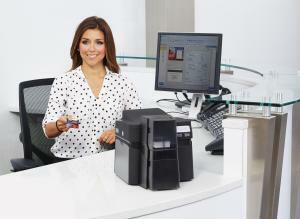 How Long Should My ID Card Printer Last? The life expectancy of ID card printers can vary widely based on several variables that affect their performance. For example, how many cards you print annually, how often your print, and how often you service or maintain your ID card printer will have an effect on how long it will last. This is why no ID printer manufacturer will ever state how many cards their printer is expected to print over its lifetime. There are just too many things that can affect its longevity. All types of businesses, organizations, education systems, clubs, and many others use some form of a PVC card as either access control, identification purposes, membership access, hotel room keys, gift and loyalty cards, promotional purposes, and even gaming and casino cards. And that�s not even including the vast majority of credit cards, ATM cards, and other forms of payment cards. 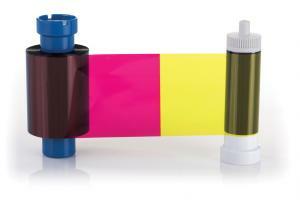 The first thing you need to know if you encounter a broken ID card printer ribbon is DON�T throw it away. 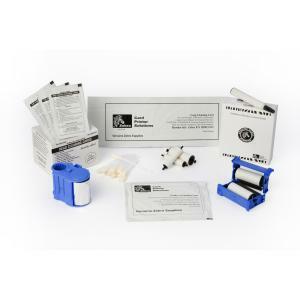 Even if it�s torn and wrapped around the main card roller that�s under the print head, it can be salvaged and repaired so you can continue printing with it. Here�s what you need to do if your ribbon breaks. If you�ve already realized the benefits of creating a customer loyalty program, you know that research shows you can increase customer spending between 20% to 40% by using gift and loyalty cards. That�s enough of a ROI to consider adding an ID card printer to your program, but there are many more ways that a printer can enhance your customer loyalty program. There are as many options for choosing the right ID security card for your business as there are reasons for needing a way to keep employees, visitors, and tenants safe and secure. 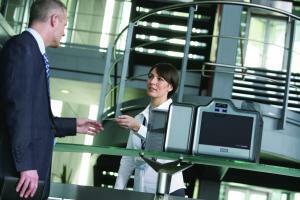 So how do you determine what the right choice is for all your security needs? We have a quick and easy guide to help you figure out exactly what you need. ID cards and badges are important, they serve important functions, and we depend on them to make our way through important parts of each day. They do their job best when they�re used effectively. 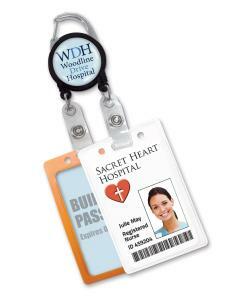 An ID badge does what it does, but to work best, with maximum utility and function, the right accessories are key. What�s a badge without the accessories? Less than it is with its accessories. ID cards and badges need to be easy to use, store, display, and protect. They work best when be reliably attached to their person and easy to present�and, of course, when they�re not lost. 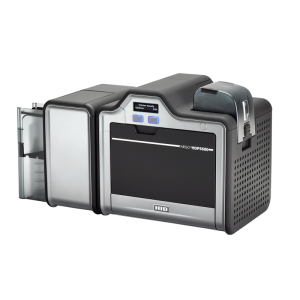 Zebra card printers are widely heralded for reliability and excellent print quality, and also offer a big selection of models and options�to accommodate users� different card-production needs and budgets. Zebra set out to create well designed ID card printers that meet you where you work, whether you�re printing cards in high volume or just on a regular basis, and whether you need high security smart cards or just the basics, and deliver the print quality, flexibility, and security you want within your budget. Below are Zebra�s card printers� primary features along with some useful comparative summaries for the high- and mid-range models.